This album compiles two Oscar Moore sessions from 1957 and 1965. 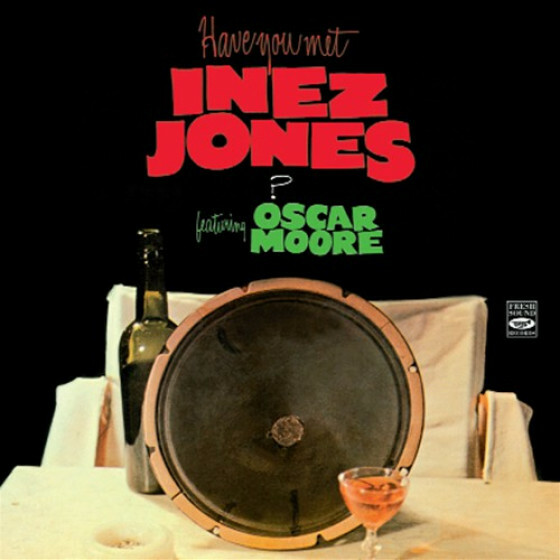 For the first ten tracks, Moore backs singer Inez Jones in one of her very few recording dates. The remaining tracks are with his trio featuring Gerald Wiggins and Joe Comfort. These recordings have somewhat of a checkered history. Originally produced on Omega Tape by tape pioneer Dave Hubert and then licensed by Riverside, they pretty much disappeared from sight until revived by the Spanish label Fresh Sound. How they came into their possession is anybody's guess. Sparsely amplified and allowing enough space between chords to permit the listener to absorb what's being played, Oscar Moore's clean-lined guitar playing, which always paid attention to the melody line, made him instantly recognizable when he was a member of the Nat King Cole Trio. Semi-retired just before these albums were made, he was running a gas station, but was lured away from the pumps to participate in these recordings. As popular and well known as Moore was, Jones wasn't much appreciated beyond the San Francisco area where she did most of her gigging. She had a light, straightforward melodic voice similar to one of her contemporaries, Maxine Sullivan. She was equally at home with ballads and lightly swinging material, and liked to surprise with dips at the end of a line, such as on a lovely "Moonlight in Vermont." Another benefit of this album is the subtle piano playing of Wiggins, as on "Sweet Lorraine." These sessions come from those days when there were still clubs and lounges where a singer with a small group could get a gig. They simply brought the way they performed in these places into the studio. The result is some settled, relaxed playing by knowledgeable, consummate artists of their trade.